On average a wedding here in the United States can cost upwards of $26,000. While it kills me to have to pay full price for items, sometimes you can’t always find a deal on the essentials for your wedding. It is a billion dollar industry, after all. We’ve come up with a list of 6 tips for how you can save money on your Wedding budget checklist without sacrificing the wedding of your dreams. If you don’t mind wearing used clothing there are multiple sites on the internet where you can rent someone’s wedding dress, or buy it if you prefer, then send it back when you’re finished without ever leaving your home. If you don’t want to go that route and want to buy your dress brand new, however, try mass dress retailers. Also, if you can’t find a dress in your exact size, buy one size up as it is easier (cheaper) to take in a dress than it is to let out. Click here to review other useful wedding checklists! By emailing your invitations you can save almost half your money. Many graphic designers can create your invitations for a low fee, much lower than getting invitations physically made. If you have the extra time you can even do this yourself. Besides, everyone communicates via social media and email, the only thing that comes in the mailbox these days are late notices. I bet you don’t realize how easy it is to become an ordained minister online, do you? I bet you also didn’t realize in some states it can cost as low as $10. That’s right, $10 to become an ordained minister. Refer to a friend or family member that you love dearly, maybe one who happens to owe you a favor. Think about it, your relative or close family friend would give your ceremony a more intimate feel. Just hope they don’t bring up any embarrassing stories. Creating your own party favors is gaining more and more popularity among brides. Many sites like Pinterest are a go to for wedding do-it-yourself articles and tutorials. This is probably the easiest way to save money and cut costs. Just a tip, choose a wedding favor that represents you and your other half that will add a customized feel. This can be as easy as giving away mini bottles of your favorite wine. Everyone has that one photographer friend on social media. If you don’t have one of those try local sites like Craigslist. A lot of the time student photographers or amateur photographers will give you discount prices just to be able to add your photos to their portfolio and for the experience. 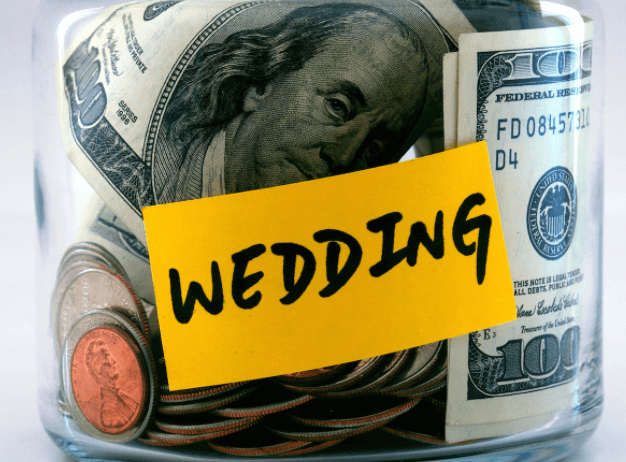 Finally, the simplest yet mostly overlooked aspect of a Wedding budget checklist is making sure to plan ahead of time and setting up arrangements and appointments early on. If you wait too long you could end up paying extra just because of the late notice.